Discover Exactly What You Need to Do to Resume Pain-Free Activity Following Knee Replacement Surgery! However, do the wrong exercises and stretches or don’t exercise enough and you could find yourself in as much pain or with as limited movement as before the surgery. 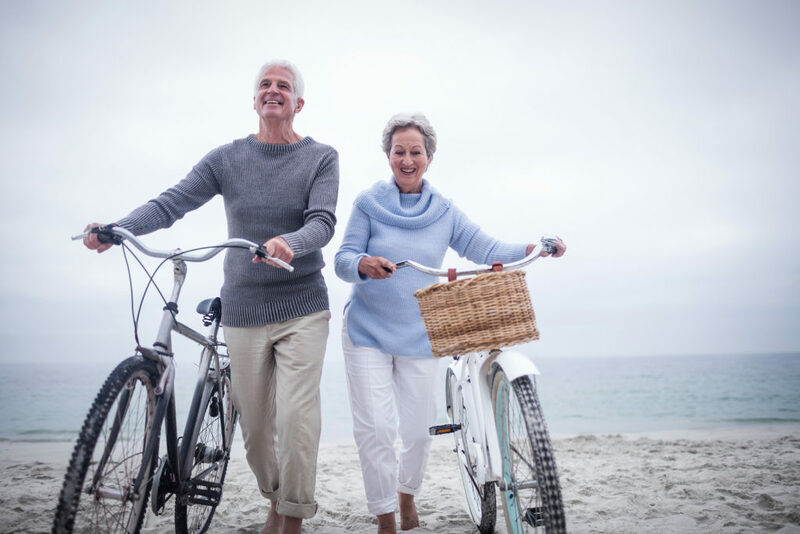 That’s why I have created a Knee Replacement Handbook Program that will ensure you do exactly what you need to do to fully recover from your surgery and enjoy the benefits of your new knee replacement. This program is your key to improving functionality and achieving maximum range of motion with your new knee! If you had considerable knee pain before surgery, there is a good chance you cut back on activity level, which in turn made your leg muscles weak. You now need to strengthen those leg muscles to ensure the stability of your new knee. In addition, activity promotes healing. By exercising and stretching your leg, you will help your knee heal faster and you will dramatically increase your chances of regaining an ability to perform deep knee-bending activities. On the other hand, fail to do the proper exercises and you could find something as simple as walking to be incredibly painful. 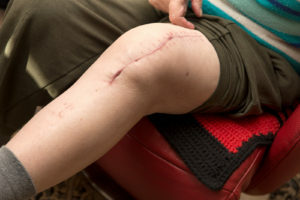 You could ultimately risk the failure of your knee replacement. Unfortunately, many doctors today, while being very good at explaining what to expect before and during surgery, are not as good with follow-up care. You may also find seeing a physical therapist to be expensive depending on your insurance coverage. But I can’t stress how important it is for you to exercise your knee properly. The right exercises will help increase circulation to your legs and feet, which is important for preventing blood clots. They will also help strengthen your muscles and improve knee movement. You spent a lot of money and went through the pain of surgery to get your new knee. Let me help you make sure that you get the most from it. I started as a personal trainer, exercise therapist and kinesiologist, but I quickly discovered that many of the traditional exercise and treatment programs weren’t producing the results I wanted for my clients. My Knee Replacement Handbook Program is the result of 6 years of University study (including a Master’s Degree in Exercise Science), over 20 years of hands-on experience, constant searching for the best knee replacement recovery techniques, and teaching these techniques to thousands of other fitness & health professionals who have then used them to help their clients - plus thousands of personal training sessions with injury and knee replacement clients, and the careful scrutiny of 50 medical research papers. When I met her she was 73 and just coming off a full knee replacement surgery. Thanks to my Knee Replacement Handbook Program, Jane was able to go on vacation to Mexico just eight weeks after surgery. During that vacation, she walked through the Aztec Ruins and didn’t have any trouble keeping up with her friends. She came back and said she was pain free during the trip and had the time of her life. Now I want to help you get the most from your knee replacement. In the Knee Replacement Recovery Program, you get 30 exercises spread over three stages so that you can eliminate pain and maximize movement as fast and as easily as possible. This program is just like seeing a top physical therapist, only you don’t have to spend a lot of money or take time from your busy schedule to drive to an appointment. It’s very important, before you get started, to assess your current condition. This is the first thing I do every time I see a new client with knee replacement. We need to understand how much pain you’re experiencing now, how serious your injury is, and what range of motion you can currently handle. Having this information will prevent further injury, and help you get the best possible results, in the shortest amount of time. In this component, you will receive a video and a brief manual that walk you through, step-by-step, how to do your own self-assessment. Based on this information, you’ll know exactly where to start in the Knee Replacement Handbook program. When you get your Knee Replacement Handbook program, I want you to come up to speed FAST on what you need to know, so you can get started FAST, and start reducing your pain FAST! So, I’ve distilled the educational content down to the most important summary points you need to get going right now. In this Quick-Start Cheat Sheet, I explain, in plain English, exactly what causes knee replacement, and I lay out the exact roadmap you’re going to follow to reduce and eliminate your knee pain. I’ve broken this program into three stages. The three stages allow you to self-direct your progress so you get the fastest possible recovery. The stages progress from very easy (Stage 1) to more challenging (Stage 3). This three-stage structure ensures that any person can complete this program and improve functionality and unlock maximum range of motion in their new knee – even those who have severe pain or who have not exercised a day in their life! You will also receive 3 follow along videos – 1 for each of the 3 stages. These videos are your very own personal coaching sessions with me. Follow right along with my exercise assistant while I count out the time and reps and coach you along the way. As mentioned above, for each of the 3 stages in this program, you'll receive an instructional video, a follow-along video, and a comprehensive manual. In my more than 20 years of experience as a kinesiologist and injury expert, I’ve seen time and again that the people who measure their progress while they do my programs eliminate their pain much faster than those who don’t. 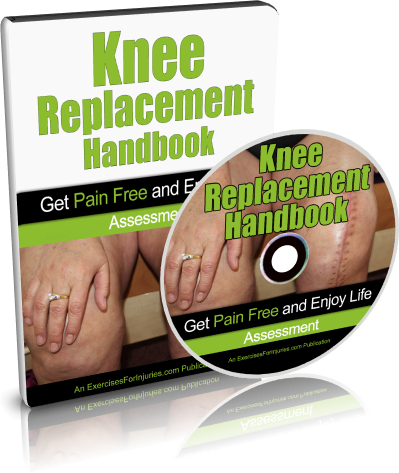 This is the ULTIMATE Knee Replacement Program! Don’t Subject Yourself to Any More Pain Than Necessary! 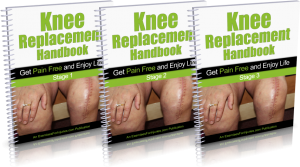 Get my Knee Replacement Handbook Program and give yourself the absolute best opportunity to enjoy full functionality and range of motion in your new knee. This Whole Package for Just $37! Even if your doctor is providing the best follow-up care and you have all the money you need for physical therapy – this package is still an incredible value at this low price. You’ll have access to a “second opinion” … to exercise routines that you won’t find anywhere else that you can do at home to complement the exercises you do with your physical therapist so that you can eliminate pain and gain full functionality even faster! Spend $37 now and save hundreds in physical therapy costs! 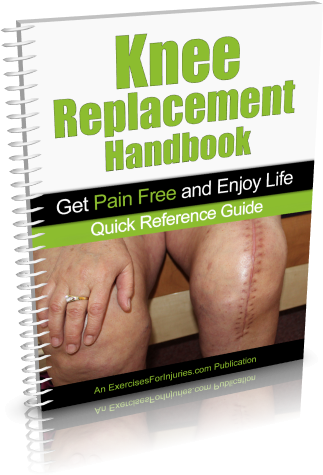 CLICK HERE NOW to order the Knee Replacement Handbook program for just $37! I am so sure that you will love this Knee Replacement Handbook Program that I am offering a 100% money-back guarantee. That’s EIGHT FULL WEEKS to put this program to the test! I don’t think I can be any fairer than that. Eliminate pain and gain range of motion in your knee or get your purchase price back! Why make yourself go through unnecessary pain? Why risk the failure of your replacement knee? When you could save yourself a lot of discomfort and money by getting this incredible program for just $37? P.S. I’m all about finding what works … and unfortunately, a lot of the advice out there, even from trained professionals and reputable sources … does not work! Ensure you get the exercises you need to eliminate pain and gain full functionality in your knee replacement, get our program today! Order now. P.P.S. Remember, the current special low price won’t last long. 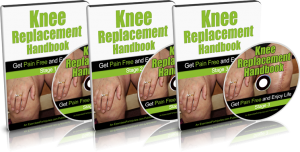 Receive the Knee Replacement Handbook Program for just $37 before it is too late! Also remember, that you are making this purchase at absolutely no risk. So grab this special price while you can! If the program isn’t everything you were expecting, simply notify me within 60 days and I will refund your money immediately. Order now.